Plus, what Prince William and Prince Henry liked to eat as kids. We can’t say for sure that the Queen will eat a slice of cake for her birthday on April 21, but if she does, we're fairly certain it will be a slice of chocolate biscuit cake. At least that's what Darren McGrady, a former Buckingham Palace chef and author of The Royal Chef at Home, would have us believe. McGrady was willing to dish to Food & Wine what the Queen—and her family members—eat at home, and when it comes to cake, she has a clear favorite. 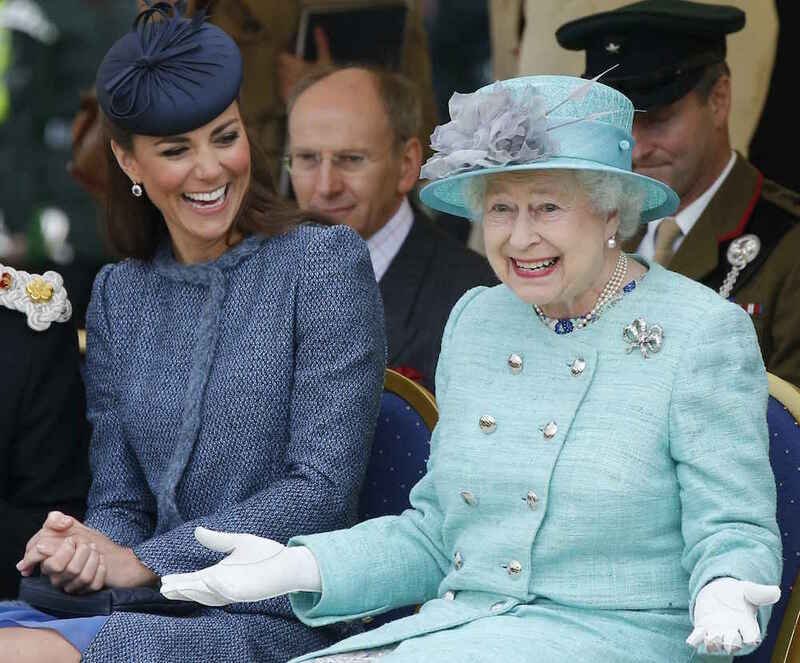 “The Queen is a total chocoholic,” laughs McGrady, who remembers how the Queen would often indulge in a few slices of cake each day for her afternoon tea. Chocolate biscuit cake is her favorite, he says, but a chocolate éclair or a slice of chocolate perfection pie works too. The Queen has afternoon tea every day, but these days, she’s more apt to eat cucumber or salmon sandwiches than cake along with her Earl Gray tea — no cream and sugar. “Now, the Queen has cut back on cakes and just has sandwiches,” McGrady says. In fact, with the exception of those finger sandwiches, the Queen eschews carbs—and she has passed on everything from pasta to potatoes long before it was the thing to do. “She’s very health conscious and does it to stay healthy,” McGrady explains. On a typical day, Queen Elizabeth has four meals, including breakfast, lunch, afternoon tea, and dinner. For breakfast, she most often enjoys a bowl of cereal and a boiled egg alongside a cup of hot tea. Her cereal of choice? Special K.
When the Queen entertains at lunchtime, she might have a four-course meal: a compound salad—think: a tomato mousse with lobster—would be served before the entrée, McGrady says. That entrée would likely be pheasant or venison—any game that could be caught at the Queen’s estate. “She loves to eat game,” McGrady says. Next up would be pudding, the equivalent to the American dessert. “Anything you would call dessert is pudding,” McGrady explains. And after that pie or cake or cookie, the Queen would eat a dessert of sliced fruit. When the Queen isn't entertaining, lunch and dinner are more simple: a piece of lean meat or fish with a side of vegetables. "She eats small portions," McGrady adds, again for health. McGrady, of course, speaks from his past experience at the palace. Anyone who works for the royal family today—or in recent years—is under a strict confidentiality agreement that prevents them from speaking to the press about the royal family, including their diets. Still, McGrady offers a rare window into Buckingham Palace was still able to illuminate what the royal family ate 20 years ago. For example, Prince Charles, likes fruit for breakfast—specifically, stewed plums plucked from the trees at Highgrove House, where he lives with Camilla, Duchess of Cornwall. "He'd have two stewed plums every morning" along with nuts and dried fruit, says McGrady. For lunch, Prince Charles "loves Italian food, so if he can have wild mushrooms ragu with polenta or homemade pasta, that's what he likes," McGrady reveals. At dinner, the Prince “would have a more substantial meal," McGrady says, such as lamb shank with vegetables. When McGrady worked for the royal family, which he did until 1997, Prince William and Prince Harry were still quite young. (As McGrady puts it, "they may have been princes, but they had children's palates.) And as such, their meals were more standard fare—think: roasted chicken with potatoes and broccoli—unless Princess Diana was in charge of that meal. "It was a constant battle between Nanny and Princess Diana," McGrady laughs now. "Nanny wanted them to have full traditional English meals, but when [the boys] were with Princess Diana, she would say, 'if they want ribs, then let them eat ribs, if they want pizza, then let them eat pizza, if they want mac and cheese, let them eat mac and cheese—just let them eat whatever they want. '” What’s more, McGrady reveals, Princess Diana would also routinely allow her boys eat in front of the TV. “Nanny used to fume about it,” McGrady says now. Perhaps as a result of Princess Diana's food flexibility, the young princes loved ribs and pizza—and they also loved dessert. "They loved anything with bananas: banana fritters, banana flan, banana ice cream, and especially caramel banana cake," recalls McGrady, whose new cookbook, includes the recipe for the princes' beloved caramel banana cake. 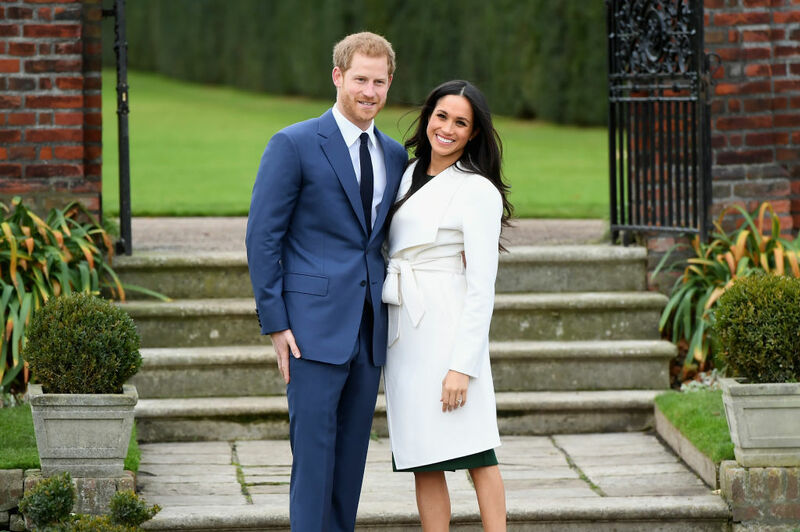 No surprise, then, that Prince Harry and Megan Markle want a banana cake for their wedding. Of course, all eyes are on the engaged couple these days. But in honor of Her Majesty's birthday, we hope they and everyone else will indulge in a slice of chocolate biscuit cake, or two.